ABC sponsors a Project Management Institute held at Purdue University in West Lafayette, IN. This course, developed by experienced contractors and Purdue University faculty, is designed specifically to meet the needs of today’s contractors. Participants will get an inclusive look at successfully handling all aspects of project management. FOR MORE INFORMATION, PLEASE DOWNLOAD THE QUICK FACTS INFORMATION SHEET. $4,400 includes instruction, course materials, student manual, attendance certificates and all meals (breakfast, lunch and dinner) during both course sessions. Although hotel cost is not included, a block of rooms will be reserved for students attending the class. Hotel information will be sent in participants’ registration confirmation letters. Transportation between the hotel and Purdue campus will be provided. Business casual dress is recommended for your entire stay. The ABC Project Management Institute is 80 hours of instruction in two non-concurrent 40-hour sessions with an interim period between classes for applied assignments and reporting. 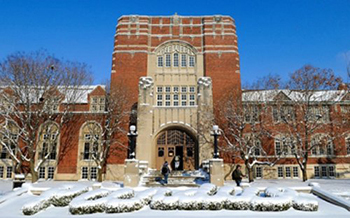 This intensive management education program is held at Purdue University in West Lafayette, Indiana. Classes are in session from 8:00 a.m. through 9:00 p.m. with a welcoming dinner and reception and a closing and graduation banquet. Attendees will learn how to utilize and develop tools that will improve profitability and productivity as well as increase customer satisfaction. Interactive course focused on application. Course instructors are from the nationally recognized Department of Building and Construction Management at Purdue University and hold over 80 years combined project management experience. Class specifically focuses on project management – using real examples and case studies. Participants will obtain management tools that will positively impact their firm. Winter, Spring & Summer – SOLD OUT! !